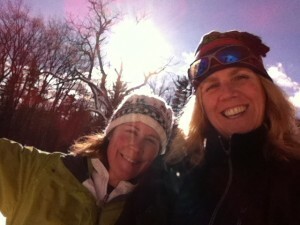 I just returned from a glorious snowshoe with my dear friend, Eleanor. For days now I’ve been thinking about this coming year and what I hope it will bring. I’m not one for making resolutions, but I do like setting intentions. One thing I know for sure is that in 2013, I want to slow down. I move pretty slowly to begin with, but with the release of my book and the introduction of so many new social media avenues, I’ve found myself far too scattered. I hope that within the process of slowing down I’ll become more present in everything I do, whether it’s folding laundry, reading and responding to other people’s blogs, or preparing evening meals. I hope to light more candles, listen to more music and invite time to languish and linger within the walls of our home. And as you know, I hope to get organized. And on that front I actually have some exciting news! For the past week I have decluttered and decluttered and decluttered some more, tackling one book shelf and closet after another, and by golly, I think I’ve actually made some progress. 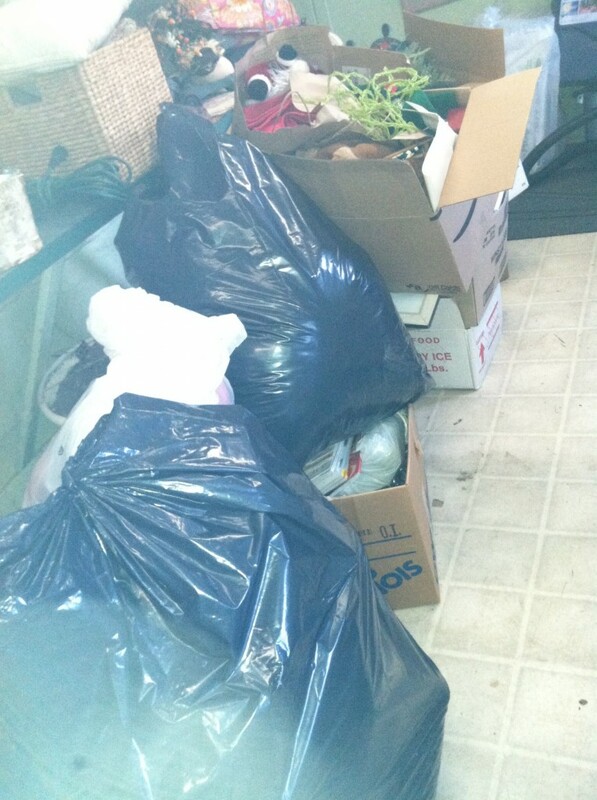 This photo shows what I’ve removed and will donate from our home so far. 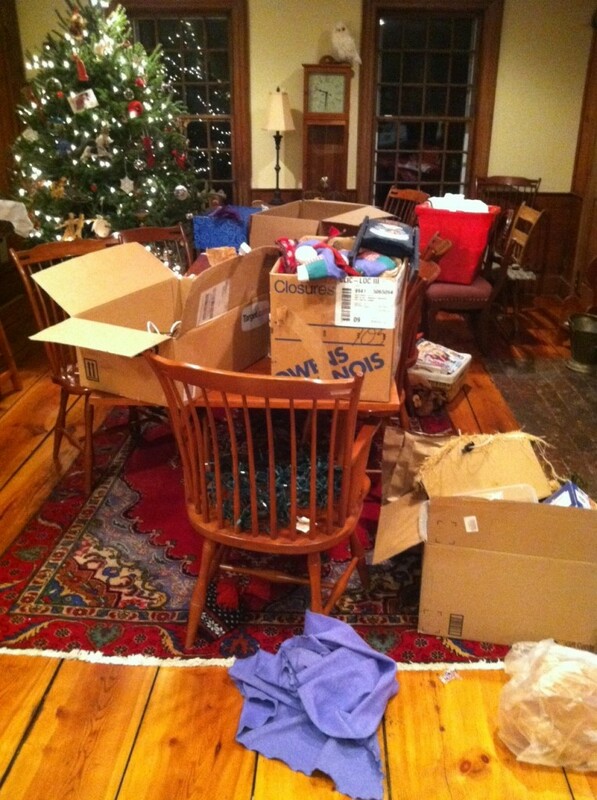 And that huge jumbled mess you saw in my pre-Christmas photo? It has been paired down to just this! Can you believe it? I can hardly believe it myself. I know it really helped admitting to you that I was so deeply disorganized. Saying it out loud seemed to set me free. I also found another book that really helped. Tammy Strobel, the author of You Can Buy Happiness (and It’s Cheap)is part of the tiny house movement and is pretty extreme in her own lifestyle choices, but her suggestions and recommendations in the book are incredibly wise and profound. The tip that allowed me to remove two contractor bags full of clothes from my closet was the idea that we hold on to things simply because at some point we paid good money for them, and even though we’ll never wear, use or whatever them, we can’t let them go. After reading that, I looked into my closet with a new set of eyes and began mercilessly purging everything I didn’t love, including several items that still had tags on them. With the holiday decorations, for the first time ever, it occurred to me that I didn’t have to keep all those same decorations that every year I pull out, and every year I put away, even those that we don’t use. So a huge thanks to you for being there for me. I hope to do the same for you. 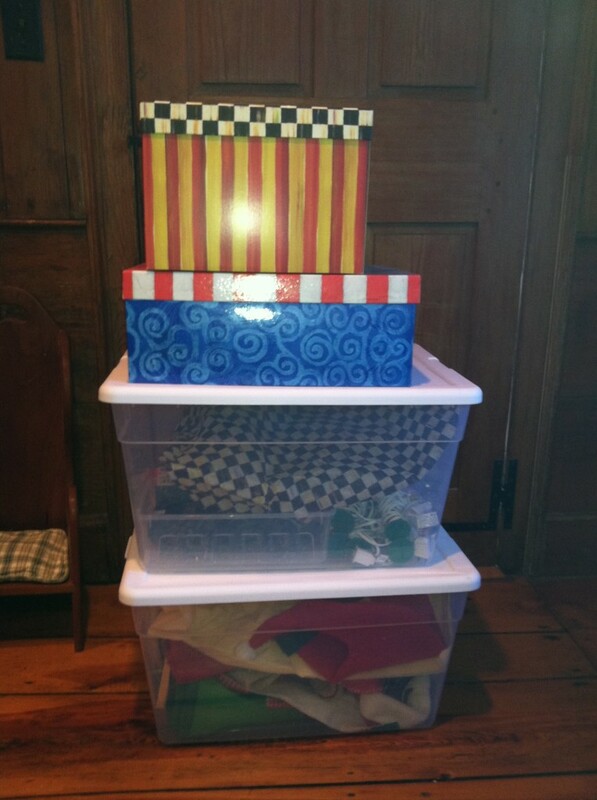 And a special thanks to all those who commented on my blog post about getting organized. I wish I could choose you all, but the winners for the giveaway (chosen by www.random.org) are Andrea and Dawn. Andrea, you won the book, It’s Hard to Make a Difference When You Can’t Find Your Keys by Marilyn Paul and Dawn, you won the glass storage set! I hope you find these tools helpful on your organizational quest. Please email me your addresses atprematurejourney@gmail.com and I’ll get those gifts in the mail. Do you make resolutions? Set intentions? Do you intend to? What are your hopes and dreams for 2013? 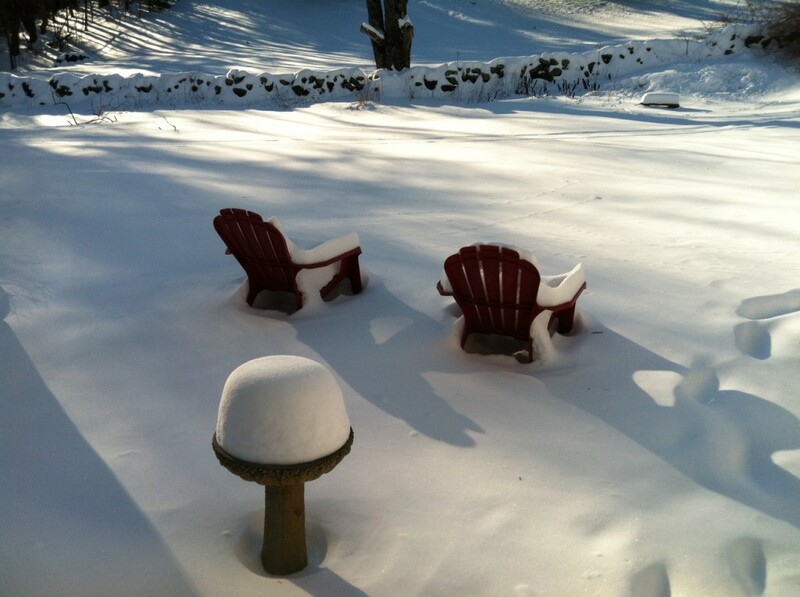 I’ll leave you with this afternoon’s view out my back door.